I knew very quickly that I was working for a bully, although in the beginning I didn’t know there was an actual term for what he was doing. What I did know was there was constant yelling, cursing and arguing. It was absolutely impossible to have a professional, comfortable conversation with the boss. His tone was always one of disdain and arrogance. He would yell about the most minuscule things. NOTHING was ever right, even when everyone that worked there did a fantastic job and worked their tails off to keep the office running smoothly and efficiently. Everyone did their utmost best. Everyone tried to please. Everyone was professional and ethical. The same cannot be said for the boss (more on that another time!). I will say at this point that I was not singled out by the bully. He treated his entire staff the same way. No one felt safe. The ones that had been there the longest showed visible signs of being abused. And apparently no one, in his opinion, ever did their job well because no one EVER heard him say, “thanks, you did a good job!” Instead, he would actually “dig” to find something someone didn’t do the way he wanted so he could yell and criticize. There were lots of tears, although I was determined not to be one of them. I might go home and cry all night, but I was not going to show a tear to him! Needless to say, even with the horrible employment opportunities in the area, staff would come, and staff would go. After a while, it was a revolving door. Don’t get me wrong. I am not the type of person to not stand up for myself. Trust me I have tried, and tried, and tried. This is how it works with the boss – he starts accusing, I try to discuss, he interrupts what I am saying and starts getting louder and louder, I start to feel threatened, he continues to yell and accuse, I try to discuss, he interrupts repeatedly and continues yelling. There is no way out of this situation except to shut up and hope he leaves. He finally exits feeling good about himself. Bullies like themselves which is really scary isn’t it! I want to get out of this job sooner rather than later and what I believe will get me to that realization is working from home. I have a great little office in my home that’s cozy and comfortable. So I have done extensive research on ways to work from home. It is hard to find a reputable business but they do exist and people are making money online. As I’ve said before though, be careful, because there are “scams” and “get-rich-quick” schemes abundant on the web. But with resilience and patience, working from home can be done and I am going to make it happen! This is what I have discovered about Wealthy Affiliate. It is a platform dedicated to helping internet entrepreneurs create successful businesses online through training, as well as providing access to the tools and services they need to become successful, and a most important element, they provide timely support from industry experts. 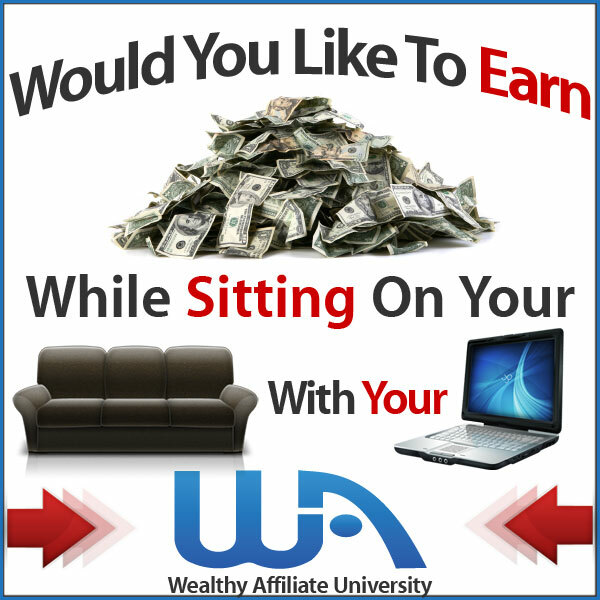 If you are struggling at work and have thought about working at home, as I have, and would like to build a business online, Wealthy Affiliate may be the perfect place for you! You are going to learn how you can literally take ANY idea/passion/niche and build a very successful business online. No experience necessary. No technical skills. And, if you’re like me, you are going to love it, not only because it is fun, but it also gives some hope that a happy and successful future is possible! Here is a diagram outlining the process that will be taught to you in detail within Wealthy Affiliate. I will say that this is an extensive platform with tons of training and many, many people within the Wealthy Affiliate community that will help you through the process of building a website and creating an online business. However, it does not happen overnight. It takes time. I am working through the process myself and I love every minute of it. I’m not quite to the point of telling the workplace bully “bye-bye” just yet, but it will happen! The struggle continues for me. Although I am learning and growing and am confident in my future endeavors, I’m not quite to the point of quitting the job. Even so, my life has improved tremendously just because I have hope, determination, and faith. It will get better!! You have a secret battle going on inside. You hate your job, your boss, or whoever it is that is bullying you at work. It’s hard, I know. I would really like to help you get through it as much as I can. I would be very glad to talk to you and hopefully together we can find a way to learn, cope, and live in a bully-free environment. Please leave your comments below and thank you for sharing my experience with me. This is such a great article and I can relate. My supervisor is young and thinks that intimidation is the way to treat people. I have heard many people around the office say they would never want to work for her as she does not know the proper way to treat people. You would think as people continue leaving or transferring away from her that she would get the idea. I think working from home and not having to put up with a bully is a great opportunity. I have been working toward that goal myself, and excited for the day I can retire, leaving yet another opening she will need to fill. Thanks Dena for sharing your experience. It sounds as though your supervisor is a bully, regardless of whether she is young or not. She probably bullied people in school too! Bullies like to intimidate because they think it gives them power. It is unfortunate that the company is keeping her around. It sounds like she should be the one leaving and not the people she is supervising. If you have an HR department, report her. She needs to go! I truly hope we can both fulfill our dreams of working from home. I know it is going to be sooner rather than later! Bullies are people with low self esteem, and they need to put down others in order to feel some semblance of self esteem. It is a poor man’s way of getting self esteem because it will not last. That is why they keep bullying. Good for you for recognizing this bully. And awesome you have found a way out with Wealthy Affiliate. Years ago, I decided to no longer be a permanent employee of any corporation or boss. I made my exit plans. I quit my job, and sourced for part time jobs. I found those, and they pay the bills. At the same time, I build my online businesses. I also recognized I needed help to make these businesses succeed. And I too, like you, am so glad I found Wealthy Affiliate. The program has helped me build, improve and grow my businesses. Most importantly, to make money. You are absolutely right Timotheus, a bully has low self esteem and take their frustrations out on others. They need help and I wish they would get it. Instead it seems that the people they bully are the ones that have to seek out help to endure the bullying. I love Wealthy Affiliate and everything that I am learning and I am also confident that it is the way out of my job! It’s nice to hear that you have been successful with online marketing. It gives us all hope! Thanks for sharing your thoughts, I appreciate it!